I don’t have the data, but I suspect that this is very quick adoption for a new version of PowerShell and it’s likely to have been driven by the assertive push of Windows 10. 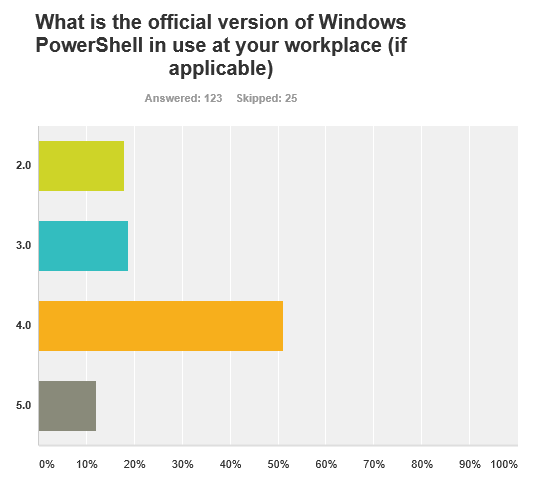 Remember that WMF 5.0 was released in December 2015, then retracted in early January, and then re-released on 28 February 2016. 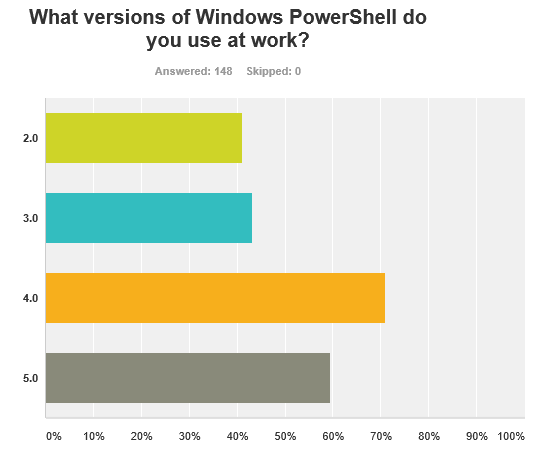 The time since release didn’t seem to affect the survey results; the data trends did not change over time. 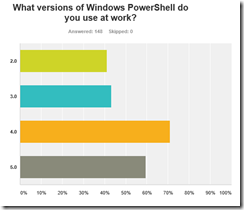 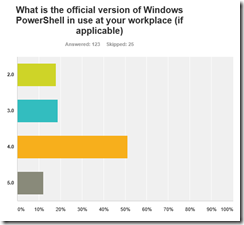 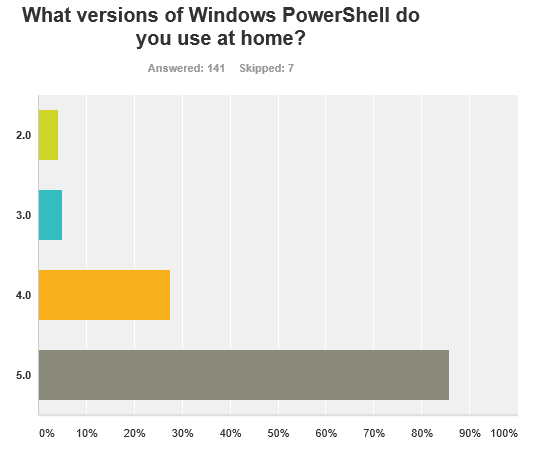 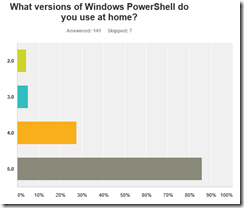 In our own homes, where we can presumably use what we please, 86% are using PowerShell 5.0. 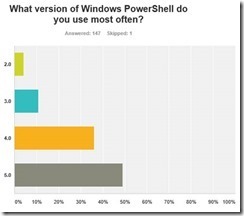 With the release of WMF 5.0, we can expect this number to increase.